The housing markets around the country are still in pretty poor shape so it is a great time to move if you can. You can probably get a lot more bang for your buck if you take the time to look at some new options. 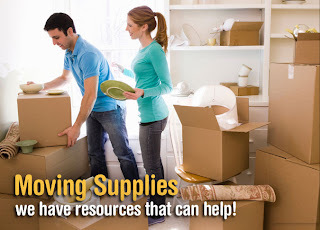 It doesn't matter if you are moving from an apartment to a house, from your house to a more affordable apartment, to a new apartment or a new house, you are going to need more moving supplies. Boxes, Tape, and Packing material are all necessities. The most important thing you need when you are moving is boxes, lots and lots of boxes. You can find tons of different cardboard boxes online and pick as many as you want (even recycled boxes are available). Boxes are generally sold in bundles of 25, but they are sometimes available in bundles of 15 or 10 as well. I have moved a few times and helped friends move more often that that, and if there is one lesson I will never learn is that you can never have to many boxes. You'll probably never need a pack of boxes any smaller than 25 and if you happen to have a few extra boxes, everybody can find something else to keep in boxes. Remember that bigger boxes don't necessarily mean it'll be easier to move, if you pack two identical boxes, one with books and one with blankets you'll quickly find out they are not the same. The second most important thing you'll need to purchase is packing materials. You have a wide variety of selection so you can easily find the one that suits you best. Bubble wrap is a classic and you can buy it big or small rolls and it does an excellent job of protecting your valuables. Popping Bubble wrap is fun for kids of all ages, so even if your kids won't help you pack they'll at least be entertained. Foam wraps are a newer high tech way to make sure your items are securely held in place. You just open the packing material and press hard on one spot to start a chemical reaction. As the foam starts to rise you put it in your box with your item and the foam creates a perfect custom fit for your item. Rolls of paper is the oldest packing method but it is nicer than newspaper since it doesn't have ink on it. You can buy packing peanuts if you want, but they are always a mess. I'll never figure out what to do with them. If you want to be Green while you are moving you should check out the CareMail line of products. 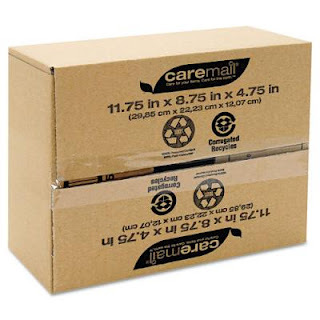 The CareMail line is all environmentally friendly moving supplies so you can still safely pack and move your stuff knowing that your packing materials have made a minimal impact on landfills. They of course have boxes and paper rolls to substitute the conventional products, but they have an environmentally friendly bubble wrap substitute and biodegradable packing peanuts made from corn and potato starch. Lastly, you are going to need to make sure that you'll need packing tape to keep the boxes closed and a healthy supply of permanent markers to label the boxes. Remember to lift with your knees! What is Smear Guard Technology?